Students from the Royal Conservatoire of Scotland have joined forces with two of Europe’s leading music universities to develop a new music teaching curriculum for primary school pupils. Students from the Royal Conservatoire are working alongside students from the Liszt Academy in Budapest and the Royal Conservatoire of The Hague in the Netherlands as well as partner organisations, the National Youth Choir of Scotland, the National Youth Choir of the Netherlands and the Kós Károly School. Students from the three Higher Education institutions have taken part in intensive study weeks in Budapest, the Netherlands and Glasgow, which involved classroom observations and workshops. The project intends to address new ways of teaching music, particularly to the five to 10-year-old age group who usually have one music lesson per week from teachers who have no formal music training. Studies have shown that children who receive appropriate music education in their early ages will have more developed cognitive functions, linguistic and arithmetic skills and fine motor capabilities. They will also possess a more open social attitude and flexible personality compared to those who receive no music education. The outcome of the Kodály Hub: Sing, Learn, Share project will be the creation of the Kodály Hub which will be designed to meet the needs of music educators. This online resource will be a worldwide portal for the sharing of repertoire for teachers. 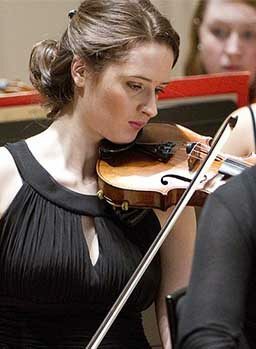 “The Royal Conservatoire of Scotland is thrilled to be part of this exciting new project, generously funded through the Erasmus+ programme of the European Union,” said Lucinda Geoghegan, theory and musicianship lecturer at the Royal Conservatoire and one of the Directors to the Board of the International Kodály Society. “Kodály-inspired music education potentially raises the standard of music education worldwide, helping to bridge the gap from school to studying at university or conservatoire-level.